Frequently Asked Questions | The Consumer Law Group, P.C. How can I register a complaint with the FTC? The Federal Trade Commission (FTC) has heard it all. They know that crooks are cooking up new scams every day and that vulnerable people fall for them and lose billions of dollars each year. 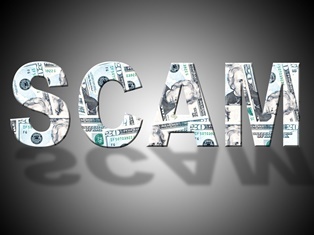 Consumer Reports revealed that 27 million people lost nearly $8 billion to telemarketing scams alone in 2015, the most common being a phony call from the Internal Revenue Service demanding immediate payment of taxes and fees. So what can you do when this happens to you? Scams and rip-offs: counterfeit checks; imposter scams; prizes, sweepstakes, or lotteries; and romance scams. Telemarketing: unwanted telemarketing phone calls, texts, or emails. Mobile devices and telephones: devices, services, plans and contracts, and billing. Internet services, online shopping, computers: internet service providers, online auctions, internet gaming, children’s online privacy, social networking, online retailers, malicious computer viruses, and general hardware/software concerns. Education and jobs: for-profit schools, online classes, scholarship programs, multi-level marketing plans, pyramid schemes, and fake employment opportunities. Credit and debt: credit cards, loans, mortgages, payday loans, credit reporting, and debt collection agencies. Once you have chosen the best category for your complaint, you will be asked to provide information about the product or service, how much money you lost, and give a detailed account of what happened. While the FTC does not resolve individual complaints, by reporting the problems, you will receive information on what your next steps should be to try to resolve the issue. There may be another agency to contact—including the police—and they may advise you to contact a consumer attorney to assist you in your fight to resolve the issue and get your money back. If you are in need of a consumer attorney in Virginia, contact The Consumer Law Group, P.C. How do I find the VIN on my vehicle? - At the front of the engine block. This should be easy to spot b popping open the hood, and looking at the front of the engine. - At the front of the car frame, near the container that holds windshield washer fluid. - At a rear wheel well. Try looking up direction above the tire. - Inside the driver-side doorjamb. Open the door, and look underneath where the side-view mirror would be located if the door was shut. - At the driver-side door post. Open the door, and look near the spot where the door latches, not too far from the seat belt return. - Underneath the spare tire. The Virginia Consumer Protection Act is a statute similar to statutes in almost all other 50 states, called Uniform Deceptive Acts and Practices statutes. These statutes vary from state to state. Generally, they prohibit any misreprentation, fraud, false promises or unfair acts in a consumer transaction. Generally these statutes apply to any transaction involving products or services to be used primarily for personal, family or household purposes, and they apply to any "supplier", which may be the immediate seller, or even a remote seller or manufacturer, that uses a dealer to supply it's goods or services. These statutes usually provide the possible recovery of legal fees for willful or unintenional violations, and the recovery of punitive damages (damages to punish the worngdoer). 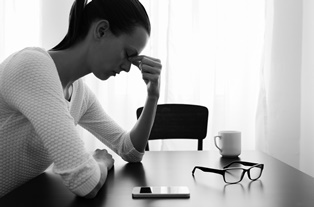 What legal action can I take against a debt collector? If you believe a debt collector has violated the Fair Debt Collection Practices Act you may sue the collector. To see if this is the case, look at the FDCPA here. Call us at (804)282-7900. Debt settlement can work for multiple unsecured debts or just one or two unsecured debts. We need to review your information before determining what can be done as every situation is different. The review of your financial situation is FREE. Call us at 804-282-7900.